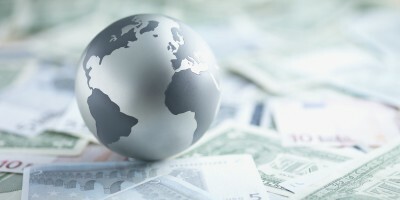 Global stock markets staged yet another selloff Tuesday following the release of negative economic data in the US and China and downbeat assessments of the global economy from officials at the Federal Reserve and International Monetary Fund. At the time of this writing, Asian markets continued to fall Wednesday morning, with China’s Shanghai Composite Index down by 3.66 percent. The Dow Jones Industrial Average fell 469 points, or 2.8 percent, on Tuesday. The Standard & Poor’s 500 index fell 3 percent and the Nasdaq fell 2.9 percent. All three indexes are now down by more than 10 percent from their recent highs, placing them in correction territory. The selloff in the US followed a 3.8 percent drop on the Japanese Nikkei and a 3 percent fall on Britain’s FTSE 100, with almost every major global stock index closing down for the day. The Shanghai index fell by over 5 percent before closing with a loss of 1.3 percent. The renewed turbulence on financial markets follows last week’s dramatic global selloff, in which the Dow opened August 24 with a loss of nearly 1,100 points, its largest intraday fall in history, and closed down by 588 points. Tuesday’s selloff was initially triggered by weak data from China, showing the country’s manufacturing activity hitting its lowest level since August 2012. China’s official Purchasing Managers’ Index fell to 49.7 last month, indicating the first contraction in manufacturing since February. The same day, an index of factory activity in the US for August fell to a two-year low of 51.1, down from 52.7 in July, a decline that analysts attributed to the slump in global demand and the appreciation of the dollar. Eric Rosengren, president of the Boston Federal Reserve, said in a speech in New York later in the day that the collapse in commodity prices and the slowdown in the global economy “might suggest a downward revision in the forecast” for economic growth in the United States. Also Tuesday, the South Korean trade ministry said the country’s exports fell by 14.7 percent compared with a year ago, the eighth consecutive monthly decline. The figure showed the worst annual fall in exports for South Korea, the biggest exporter to China, since 2009. A major factor in the financial turbulence is the dramatic economic reversal in emerging market economies, whose export-led booms are collapsing amid slowing global demand, the slump in commoditiy prices and a reversal of massive capital inflows that predominated in previous years. As a result, the prices of both sovereign and corporate bonds are falling, threatening the solvency of financial institutions that speculated in these assets. Commodity prices also slumped dramatically, with oil prices dropping by 7 percent following a three-day rally. The Financial Times cited hedge fund manager Pierre Andurand as declaring that oil prices were likely to continue falling, possibly sinking as low as $30 per barrel. This points to the fact that the continuing flood of money from the Fed, European Central Bank, Bank of England and Bank of Japan into the financial markets does little to halt or reverse the stagnation in the real economy. While propping up the asset values of the financial elite, this policy has only exacerbated the financial parasitism that underlies the slump dominating the world economy. The world’s governments and central banks responded to the 2008 financial crisis by blowing a massive financial bubble and transferring trillions of dollars in social wealth from the working class to the financial aristocracy. Seven years after the collapse of Lehman Brothers, the global capitalist crisis is once again erupting with full force.